Giuseppe Carlo Bobbi, familiarly named “il Carlino”, means “the little Carlo”. He was born in Guatemala, during an 1891 tour of his family to Central America. After the tour, Giuseppe Carlo and his parents returned to Piacenza their home town, not far from Cremona, where he stayed until 1919. Son of an artist, he was formed since childhood at various schools for craftsmen and artists, both in Piacenza and Cremona. After the Great War (WW1), he met and married Argia Zanini. The young Giuseppe Carlo and his wife then moved to Milan, where he found more possibilities to fully express his artistic talent, and where he finally died, well before his time in 1954. A fundamental step in his artistic path at Milan, occurred from a meeting with Adolfo Wildt, an Italian artist of some genius. 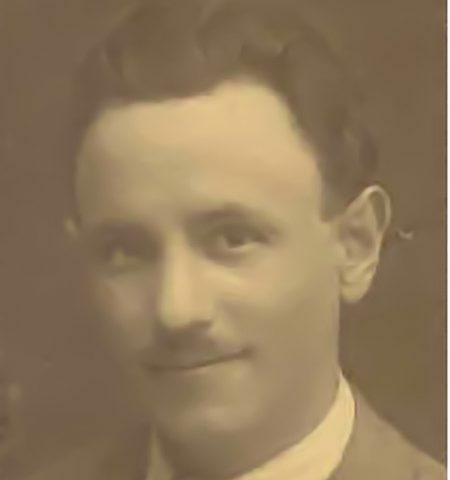 He was given the opportunity to work in Wildt’s laboratory, and Giuseppe Carlo Bobbi finally worked there as a sculptor for many years, until the early death of Adolfo in 1932. In the following years and always as a sculptor, Giuseppe Carlo Bobbi collaborated with other important Italian artists such as: Castiglioni, Manzù, Messina and Sessa, to cite the more famous. Aside from these collaborations, Giuseppe Carlo Bobbi did not stop to cultivate his other artistic inclinations. When he found the opportunity and time, he also devoted himself to carving in wood which led to the making of stringed instruments and to restoring ancient artworks and archaeological findings. Each section describes with greater detail and some pictures the main artistic stages of the artist.